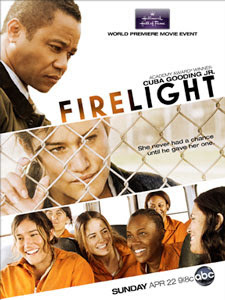 Hallmark Hall of Fame's newest movie, Firelight, aired last night, April 22, 2012, on ABC. Unfortunately, I missed watching it because I was picking up my son from university but when I checked this morning, I was pleasantly surprised to discover that you can already buy the movie, starring Cuba Gooding, Jr. from Amazon. I'll be sure to return with my review of the movie as soon as possible, though I expect only to be impressed. Hallmark holds its best movies for Hallmark Hall of Fame productions. In the last year or two I have seen a lot of the Hallmark Hall of Fame movies and have not been disappointed with one. Buy Hallmark Hall of Fame's Firelight movie from Amazon.